Strong, healthy plants start with strong, healthy roots. 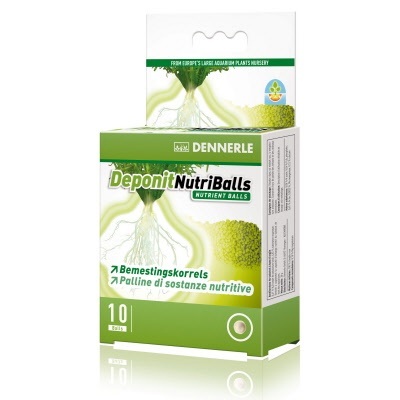 Deponit NutriBalls is specially formulated for the roots. This fertilizer is a wonderful starter aid and can also be used for complementary fertilization of all aquarium plants that take in their nutrients mainly through their roots. NutriBalls are simple to use: just press 1-4 balls, depending on the plant size, into the growing medium near the roots.